I have known Butch Varner since 2007 and have always liked the guy. I met him during my J103 radio days while he was working as a bondsman and in school to be a counselor. Let me tell you, this is one cool dude – and completely sold out to Jesus. He’s been in the Army, has spent time on the mission field in Japan, and is currently a professor at a local college. He can tell you countless stories of criminals and addicts coming to know Jesus, which means he’s approachable and isn’t afraid of where people are in their lives – in fact, he invites ALL people into his life because he just wants to show them the love of Christ and be their friend. He reminds me of a down-home country boy – he’s not pretentious at all – and can relate to anybody. The moment he enters your space, you’re comfortable. And then his sweet, pretty wife Jenny comes along, and she is just precious. Smiling and gentle in spirit, she is welcoming without being forward at all. I can see why people are drawn to this couple. So, on Sunday, July 21 we decided to check out the church. We live on Missionary Ridge, and the church meets at 11:00am at the Barking Legs Theater on Dodds Avenue, so it was literally 5 minutes away (which is always nice). We drove up and there were 2 cars in the parking lot, so we weren’t sure if they were meeting or not. My husband and I walked in and I must admit, I had to laugh at my husband’s reaction. I just heehawed and gently said, “No dear, no beer this morning.” Then I took a minute to explain to him that people are tired of cultural Christianity and there is a group of Christians who want to do what Jesus did – take the Gospel to unconventional places (he ate with sinners and tax collectors and was accused of being a glutton and a drunkard – although we know He wasn’t). Therefore, they are following the same principle and trying to bring the light of Christ into some pretty dark places (not to say that Barking Legs is dark place, but it’s definitely not a church – its a concert hall and performance venue). And for them to allow a church to hold services there on a Sunday morning is a pretty novel concept, and I applaud their willingness to do so. The worship was led by Butch, his wife Jenny, and their Japanese friend Saori Mann. Saori started the morning by sharing her story of being tired and weary and sang “Precious Lord” accompanied by her electric piano. She has such a unique voice – her Japanese accent and strong vibrato combined with a compassionate, soulful, bluesy sound made for a unique twist on an old favorite hymn. After her song, she picked up her acoustic guitar and joined Jenny (lead singer) and Butch (electric keyboard). After a few songs, Jenny shared her testimony of giving and receiving. You can’t outgive God. He knows your needs and will provide every time. Butch is teaching on the book of John right now and this particular Sunday he was in chapter 4 and focused on the woman at the well. First of all, John’s purpose was to show who Jesus was/is. In the 1st Century Jesus was a Rabbi. Most Rabbis of that day were judging people and it is a transliteration of the word hypocrite, which is basically “reaction formation” (when someone is pointing out something in your life because they’re struggling with it themselves and are in turmoil). However, Jesus was a radical Rabbi. In John 4:1 we see that Jesus was baptizing more disciples than John the Baptist. Butch explained some of the history behind this. According to his understanding, Jesus grew up around Decapolis which was a very cosmopolitan area. John’s parents died when he was young and in those days orphans went to live out by the Dead Sea with the Essenes, so he had been taught by them. When Jesus came along and began baptizing even more people than John, the Saducees and Pharisees saw this as a threat. Now, I’m not a Biblical or History scholar – but it sounds interesting, so I’d suggest you do your own study on this to discover why that was important. Jesus then travels into Samaria. At this time, Jews didn’t have anything to do with Samaritans because of the perceived corruption of intermarriage, etc. And in those days, you certainly didn’t engage women in conversation. But what does Jesus do? 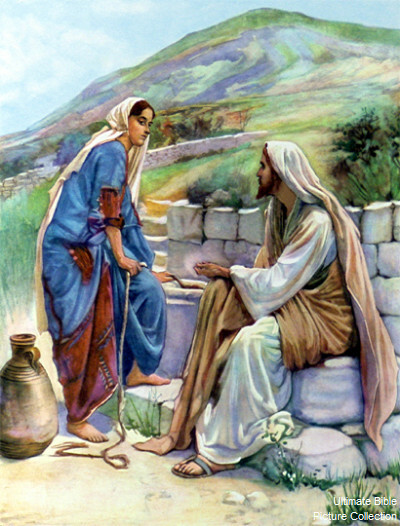 He goes to Jacob’s Well (which was built by his father, Isaac) where a woman comes during the middle of the day. It is speculated that she came in the middle of the day rather than the early morning with the rest of the women because of her reputation. So Jesus is already breaking into taboo areas. First, he’s a Rabbi who is knowingly not just passing by Samaria, but walking through the actual area. Second, He’s talking to a woman who is known to have been married several times. And third, He chooses to reveal the Kingdom to her and then sends her back to her village to preach about it. The villagers believe her testimony and start coming to Christ and invite Him to stay in their village. What? Talk about upsetting some religious people! Jesus affirmed this woman instead of disavowing her. In other words, Jesus could care less what the social norm of the day is – He’s not concerned with what you consider to be taboo and who you refuse to talk to – He came here to save people and give them rivers of living water so they could live an abundant life. Jesus came to take the world system and the religious system and turn it on its head. The less religious you become, the more of God you will experience. Butch went on to explain that a lot of ministry today is about making money. 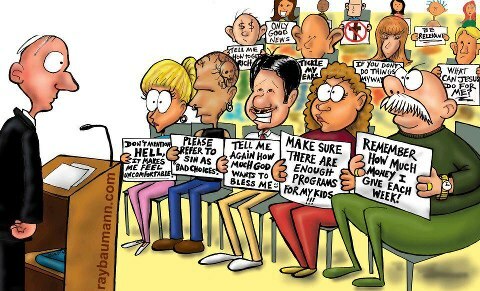 The Bible says in the last days people will surround themselves with teachers who will tell them what they want to hear instead of what the Bible says. Eventually your faith becomes corrupt because you don’t allow the Bible to transform you. People expect the Bible to fit into their way of thinking and living and are offended when the Bible speaks otherwise. Jesus is simple. He really wants to be your friend. He really wants to walk with you. Your past doesn’t matter. He wants to give you that eternal water that gives eternal life. Jesus is the way, the truth, and the life and no man comes to the Father except through Him (John 14:6). An interesting side note is that Jesus was at the well of Jacob which was built by Isaac. Guess what Isaac’s name means? Laughter – remember when Sarah laughed when she heard the angel tell Abraham they would have a son? God wants the joy of the Lord to flow through us. Choose the joy of the Lord. It is your strength (Nehemiah 8:10). Also, choose to love others. Choose to let the Lord fight your battles. Quit stirring the pot…let it go and let God take care of it. This is where Butch used a funny story about his grandfather. He said he used to tell him a cow patty is like our problems. He said if you’d just let the thing rest in the sun, eventually it would dry up and allow you to cast it aside. However, if you put a stick in it and tried to move it out of the way before it’d had time to settle, you’d just stir up the stinkin’ mess all over again. Ha! I thought that was hilarious – but how true is it? Do we take our problems to God and allow His Son to shine on them and work them out in His time? Or are we constantly meddling and stirring our pots, then wondering why we always find ourselves in a mess? Something to think about. Butch ended the morning with a prayer asking for God to deliver us from religiosity and give us the joy of the Lord. The Pointe Church is a tiny one – not a lot of people (at least not on that Sunday morning), however it has a huge opportunity to grow with those who are looking to break away from the religious system they may have become accustomed to. If you’re looking for real people who will meet and accept you just where you are, I encourage you to at least visit. You’ll find authentic believers who love God and who want to make a difference in their community. We met Pastor Butchie through our former Pastor on Long Island. He is just as you described him, warm friendly, loving and definitely funny and powerfully anointed. Continue to be blessed by his ministry and that of his family.